Visagio is now recruiting for their 2018 Internship Programme! Are you in your final or penultimate year in Science, Engineering, Mathematics, Computer Science or Business? Then this event is for you! Come and hear about the variety of rewarding projects on offer at Visagio. At Visagio you will be more than an intern and will be treated as a Consultant, expected to work and contribute on meaningful projects from the get go. 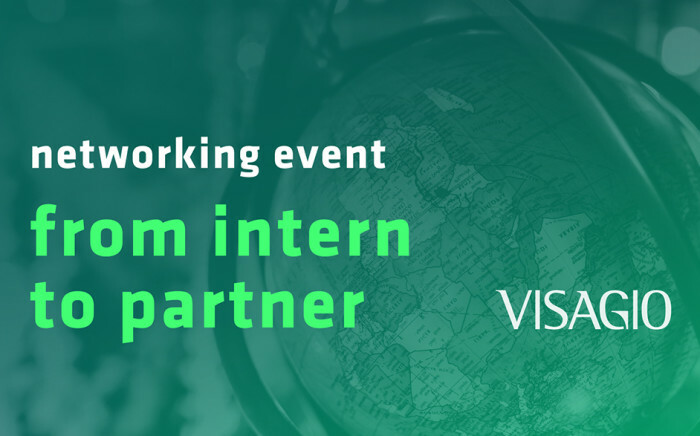 This is your opportunity to network with Consultants from Visagio including Pedro Faria Associate Partner, and ask questions about their internship program to get your foot in the door! Book your spot through UniHub.